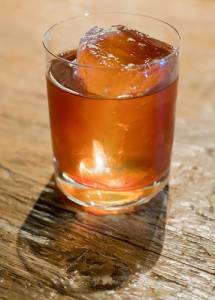 Aromatic, robust, and refreshing, Vermouth can be served on its own or as a part of a cocktail. Originally, Vermouth was sold as a medicinal drink. Over time, the product was sold as an alcoholic beverage much like Amaro. 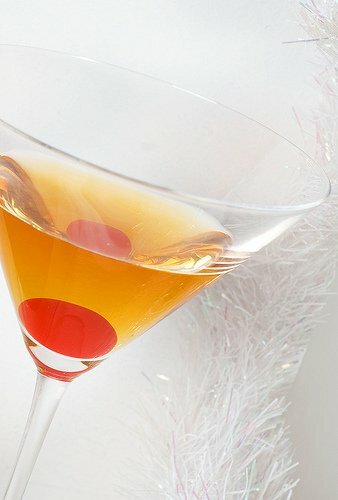 In fact, some of the most iconic cocktails – such as Martini and Manhattan – are made with vermouth. This wine is infused with a variety of herbs, flowers, and spices + a kick of brandy to give it a distinct aroma and flavor! Vermouth is an alcoholic product so it has a long shelf life. The alcohol in vermouth gives the product a self-preserving property so it should keep for a long, long time. Since vermouth is high in alcohol, it is quite resistant to bacterial and mold growth. Although vermouth will keep indefinitely, the product does turn flat or flavorless overtime. When the product is not kept properly or if the storage environment is less than ideal, the product loses its aroma and flavor. Other times, a leaky or poorly sealed bottle accelerates the flavor loss. Do note that sweet vermouth has a longer shelf life than dry vermouth. Since vermouth does not spoil the same way as other products, it can be quite a struggle to check for spoilage. Generally, any changes in its color, flavor, or aroma are an indication that the product is no longer usable. A leaky or poorly sealed bottle or container could also cause the product to turn flat or lose flavor entirely. Always keep a bottle of vermouth tightly sealed after every use to extend its shelf life. For sealed, unopened bottles of vermouth, you can store the product in the pantry at room temperature. Since the product is sensitive to heat, humidity, and light, keep a bottle of vermouth in a cool, dry place away from direct sunlight or sources of heat. For opened bottles of vermouth that are nearing their expiry date, storing the product in the refrigerator may extend its shelf life. The chilly temperature will slow down the degradation of the product. But again, keep the lid tightly sealed so the product won’t lose its flavor while stored in the fridge. When kept at room temperature, a sealed bottle of vermouth will keep for a year. On the other hand, opened bottles of vermouth will only keep for six months or so in the fridge. Vermouth has a shorter shelf life than other spirits because it doesn’t age as most wines. Vermouth has to be consumed fresh so finish a bottle as soon as possible for optimal flavor. Freezing is not a recommended storage method at all. As with most types of alcoholic beverage, Vermouth has the tendency to lose its flavor during storage. Flavor loss will be accelerated if the product has been left to thaw for a while. Vermouth has a reasonable shelf life so you will not have any problems using up a bottle. Still, if you must freeze this product, just make sure to transfer the vermouth in an airtight container. A bottle of vermouth makes any event extra special! Can vermouth go bad? As with most spirits, vermouth has a long shelf life but it has to be stored properly to retain its aroma and flavor! Can Triple Sec Go Bad? Triple sec is a variety of Curaçao liqueur made from sweet and bitter orange peels. This clear, citrusy liqueur is processed using triple copper still distillation, hence the name. This product can be mixed with different drinks or enjoyed on its own. Triple sec is quite aromatic and it adds a refreshing flavor to mixed drinks. If you love Triple sec then you probably have a bottle or two in storage. Thankfully, this product has a long shelf life! Just like any type of alcoholic products, triple sec has a lengthy shelf life. Some say this product does not go bad at all! Because it’s made from distilled alcohol, triple sec has a self-preserving property. It is quite resistant to bacterial growth and mold growth. As such, triple sec does not go bad. It does, however, degrade during storage. Degradation of the product occurs when the triple sec is exposed to extreme heat or humidity. When the product is not sealed during storage, the triple sec loses its flavor too. If you’d like to enjoy triple sec for a long time, you have to store the product properly! While triple sec keeps well in storage, it will start evaporating slowly. This goes especially if the product has been left sitting at room temperature for a long time. Leaky or unsealed bottles of triple sec could also cause the product to lose its flavor. However, despite losing flavor, triple sec is still safe to consume. If for some reason the product develops an off-color, flavor or appearance, toss the triple sec in the trash. How to Store Triple Sec? Triple sec is a stable product so it is best kept in the pantry. The product won’t spoil at all because the alcoholic content inhibits bacterial and mold growth. That being said, this product is sensitive to heat and light so store the triple sec in a cool, dry place away from sunlight. Keep the container’s cap closed tightly at all times for optimal flavor. You can also store triple sec in the refrigerator. This is a great option if you love your drinks chilled or if you are worried about evaporation. No additional prep is needed to store triple sec in the fridge, use its original packaging. When kept in the pantry or fridge, triple sec will keep indefinitely. Can You Freeze Triple Sec? Yes, you can freeze triple sec but only because any type of food or drink can be stored in the freezer. However, this product does not require freezing at all. Triple sec will keep indefinitely regardless if it’s frozen or kept at room temperature. Thawing may increase the risk of flavor loss too, something to keep in mind if ever you decide to freeze this liqueur. 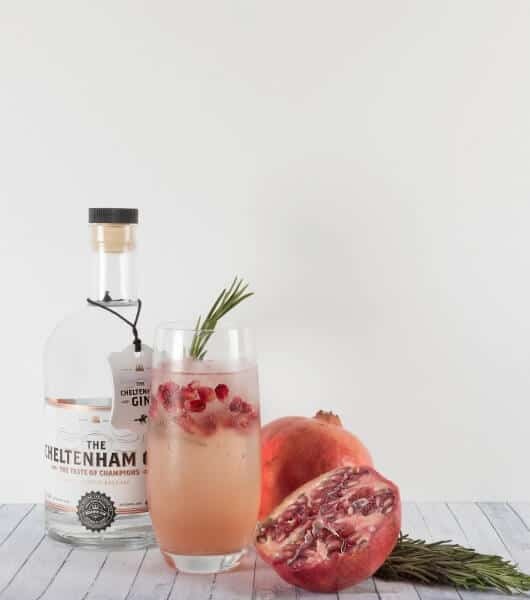 Triple sec makes a delightful addition to your favorite cocktails. Having a bottle in storage is a great idea if you love mixing your own drinks or when celebrating a special occasion! Can triple sec go bad? The great thing about storing alcoholic drinks is that they do not go bad at all. 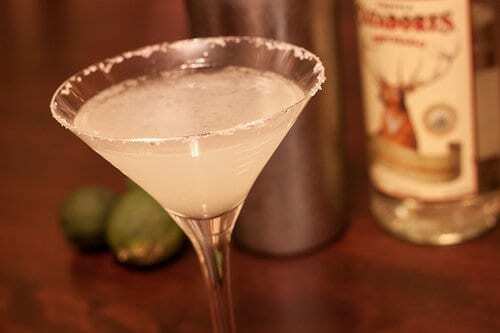 Still, you have to store the triple sec properly to reduce the risk of evaporation or flavor loss. Sake is a Japanese wine made from fermented rice. The drink is often served during ceremonies and special occasions or to cap off a good meal in restaurants. This traditional drink is also used in cooking! 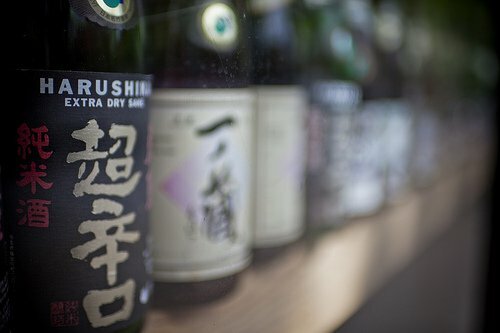 Sake is such a prized ingredient that most Japanese households have a bottle of sake or two on display. Sake is highly perishable because it is almost always made by hand. Since the product doesn’t contain preservatives, it is prone to spoilage. The good news is, sake won’t spoil easily as long as it is stored properly. Can sake go bad? Since sake is fermented, it boasts of a long shelf life. However, there is no alcoholic drink that could truly keep forever. While sake will keep for a long, long time, it will go bad at some point. High-quality sake is not only hard to come by, it’s quite pricey too! That’s why storing the product properly is a must if you want to extend the shelf life of sake. 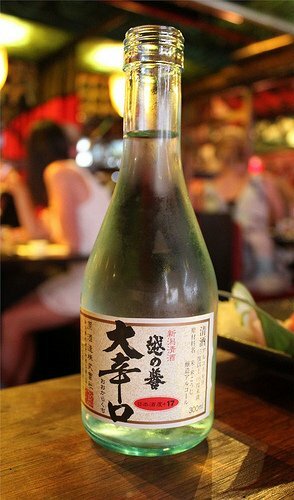 An unopened bottle of sake has a longer shelf life than an opened bottle of sake because the product is kept sealed. As with most types of fermented drinks, air exposure is the enemy. Always seal the product after every use to extend the shelf its shelf life. It is hard to tell if sake has gone bad at a glance. You have to smell or taste the product to know for sure if it is no longer safe to consume. Any slight taste or aroma changes could be a sign that the sake has gone bad. To be on the safe side, try not to store sake for a long time. Consume the product before the expiry date. The best way to store unopened bottles of sake is to keep them in the pantry at room temperature. Place the product in a cool, dry place away from direct sunlight, heat, and humidity. Air exposure causes oxidation that can shorten the storage life of the drink. On the other hand, opened bottles of sake, as well as sake that’s nearing its expiry date, should be kept in the fridge. It’s best to store the sake in the lower rack of the fridge so the chilly temps won’t affect the delicate flavor of the product. An unopened bottle of sake will keep for 6 to 10 years in the pantry. Opened bottles of sake will keep in the fridge for 1 to 2 years. It’s best to consume the product within a year or less for optimal flavor. You can freeze sake because any type of drink can be stored in the freezer. However, freezing is not a recommended storage method for sake. The harsh temperature will affect the delicate flavors of the drink. Since sake is a fermented product, it doesn’t require freezing at all. Can sake go bad? Sake will go bad at some point but thanks to its long shelf life, you won’t have any problem using up your supply! Remember, sake is quite pricey so storing the product properly is the best way to get the most out of the drink. Can Malibu Rum Go Bad? Summertime calls for colorful, fruity, and “fun” alcoholic beverages. And Malibu rum is definitely one of them, enjoyed most often in drinks, ranging from easy ones like Malibu tonic to classics such as Pina colada. But what if the summertime is over and you still have a bottle or two of Malibu in storage? Can you just leave them where they are until you’re back in the mood for some sweet and colorful drinks? Or perhaps you’re new to Malibu, and you’re wondering if you need to refrigerate it after opening. After all, it’s a fruity drink, so such a requirement shouldn’t come as a surprise. Plus knowing how long it keeps quality once opened would be useful too. If you have any questions related to going bad, storage, or shelf life of the liqueur, this article is here to help. And to start things off on the right foot, let’s talk about spoilage. Can Malibu Rum Go Bad? How Long Does It Last? 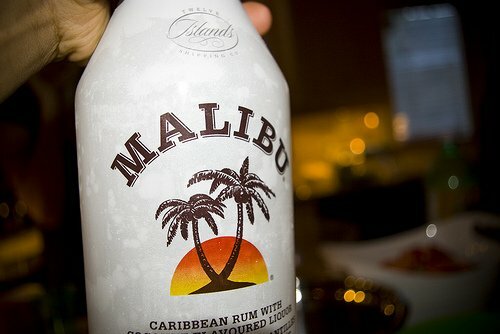 First off, Malibu rum is technically a liqueur ([WIKI1]), although it’s sometimes called a flavored rum. While the naming conventions aren’t that important, you should know that Malibu has an alcohol by volume (ABV) value of 21%, while most rums are around 40% (80 proof) ([WIKI2]). But even though it contains quite a lot of fruity flavoring, this ABV value is good enough to keep the drink safe for consumption for years. When it comes to whether or not Malibu rum can go bad, there isn’t one straight answer. Theoretically, if you’d leave the bottle unsealed for a few years, and made sure some bacteria got inside, it’d probably spoil. But in practical terms, an unopened bottle shouldn’t go off in years if you store it properly. 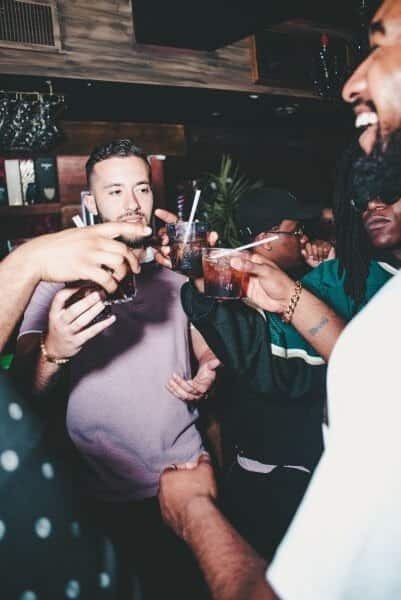 The liqueur should stay pretty much the same for a very long time, so unless your Malibu is 10 years old, don’t hesitate to open that bottle and check out its contents. Of course, the taste of a Malibu that sat in storage for 5 years probably won’t be as good as the taste of a fresh one. That’s because this alcoholic beverage is flavored and doesn’t have such a high percentage of alcohol that it will basically stay the same forever (like vodka or whiskey). So far we talked about unopened Malibu, let’s now cover what happens when you unseal the bottle for the first time. Long story short, opened Malibu rum probably won’t ever spoil if you take good care of it. But that doesn’t mean it will keep its quality for as long as “pure” rum does. Having said that, if the flavored drink changes color, or starts to smell off, throw it out. Same thing if it tastes wrong. Chances of that happening are minuscule, but you never know. Let’s sum things up. Malibu rum will last years unopened, but once you open the bottle, the quality starts to degrade more rapidly. And at some point, you will probably discard the leftovers for quality reasons. So the big question is how long until the quality is bad enough for you to get rid of it? How Long Does Malibu Rum Last After Opening? Unfortunately, there isn’t one straightforward answer to that question. The producer says that the Malibu’s shelf life after opening is one year ([MRD]). But as you know producers pretty much always give safe recommendations when it comes to such topics. So chances are you will be able to keep it around and be happy about its quality for even longer. As you can imagine, there isn’t one set-in-stone period. Everyone is different, and it’s up to your taste buds if you find that liqueur good enough for drinking or not. But if you have the bottle opened for longer than a year, it’s a good idea to give the Malibu rum a taste before you mix up some drinks. You know, so you won’t ruin the rest of the ingredients with a liqueur that doesn’t quite hit the spot. Last but not least, if you’re feeling that your Malibu isn’t at its peak anymore, not all is lost. You can still try making some drinks with it, but choose recipes that involve other strong flavors that overpower the Malibu. Like for example pineapple juice or orange juice. With such a mix you should enjoy the subtle kick that the liqueur adds without feeling that it’s past its prime. Or you can discard that old bottle, it’s up to you really. Knowing all of that, it’s time to talk a bit about storage of Malibu, so you know what to do to keep that open bottle in good quality for as long as possible. How To Store Malibu Rum? Storing unopened Malibu is no different than storing other alcoholic drinks. In short, keep it in a cool place away from sunlight and heat sources. A pantry or a dark cupboard in the kitchen is perfect. Of course, you can put it into the fridge, especially if you’re planning on opening it later that day, and want to have it chilled. Once you open the bottle, remember to always keep it sealed tightly when not in use. When it comes to whether or not you should refrigerate the rum-based liqueur, it’s up to you. Keeping it chilled after opening isn’t required, but it may help retain the taste for longer. So if you expect it to stay around for a few months, refrigeration would be a smart thing to do, but it’s by no means necessary. If it remains in a cool place, it should keep its quality reasonably well too. One thing that most alcohols don’t like is heat, so if you happen to store the bottle in a warm place, the quality of the liqueur will drop faster than expected. To finish things off, I’ll leave you with one final tip. It works for spirits, and it could help your Malibu too. If the bottle is less than half-full, transfer the liquid into a smaller one, preferably one that will be almost full. The less air is in the bottle, the slower the flavor degradation process. Of course, implementing this only makes sense if you expect to keep that Malibu around for a few months at least. Otherwise, the profits will be close to none, and definitely not worth the trouble. No liquor collection is complete without a bottle of Kahlua. This delicious coffee liqueur finds itself at home in White Russians, and can make a fun addition to some “grown up” hot chocolate! Of course, you may find yourself with a bottle of Kahlua that’s been sitting in the liquor cabinet for quite some time. Can Kahlua go bad? How can you tell if Kahlua is still safe to drink? Read on to find out! Like many liqueurs, Kahlua does go bad. While your bottle of Kahlua may not spoil in the traditional sense of growing mold, or going rancid, over time it will begin to decline in quality. The manufacturer recommends that Kahlua be consumed within four years of the production date. This shelf life recommendation is the same, whether or not the bottle has been opened, and does not depend on the storage method. While the product may be still be safe to consume after four years, the quality will have likely degraded, and your mixed drinks might taste a little flat! The main flavor in Kahlua is coffee, and over time, the aromatic compounds in the brew begin to break down. This will make the liqueur less flavorful, and at the same time, will diminish the smell. So, the first way to test if that bottle of Kahlua is still good is to smell it. If the odor of coffee is strong, then the Kahlua is probably still good. A weaker smell, or no smell at all indicates that the taste will likely be off, and won’t taste as good. 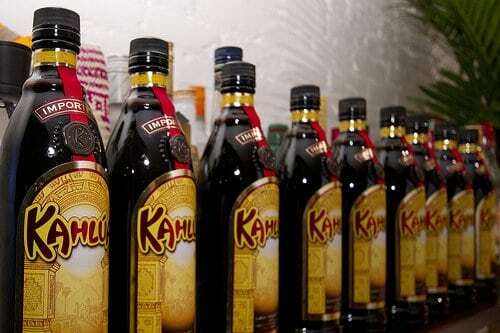 While it’s unlikely, Kahlua that has been contaminated could potentially harbor unwanted bacterial or mold growth. If you smell any sour or other off odors, the Kahlua has likely gone bad and should not be consumed. Similarly, if there are any visual signs of mold growth, though highly unlikely (if not almost impossible), the Kahlua should be discarded. Kahlua will settle after a while, and though this doesn’t indicate spoilage, it does mean that the flavor has likely changed a bit. You can mix the drink back together by gently tipping the bottle upside down a few times before serving – just be sure it’s tightly sealed! Sugar crystals forming on the edge of the bottle are another sign that the Kahlua may have seen better days, though it’s still likely safe to drink. Kahlua should be stored in a cool, dark place, away from exposure to heat or direct sunlight. If you’d prefer, you can store Kahlua in the refrigerator, though this will not increase the shelf life by any substantial measure. 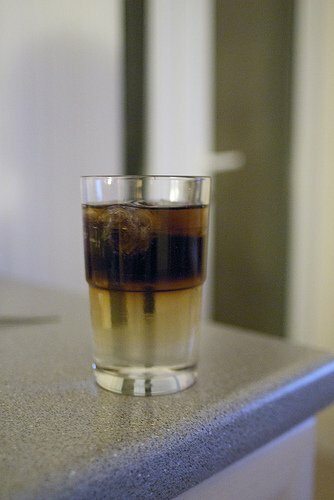 Many people prefer to store Kahlua in the refrigerator for taste reasons, as this liqueur is best served chilled. The most important thing to remember when storing Kahlua, is that the bottle should remain tightly sealed. The flavor compounds are sensitive to air exposure, so tightly closing the bottle is the best way to retain the strong coffee flavor. This will also prevent the alcohol from oxidizing and reduce the evaporation, which tends to happen with alcohol-based beverages. Storing Kahlua in the freezer is not recommended. While there is a good deal of alcohol, which will prevent the Kahlua from freezing solid in most home freezers, the beverage will become thick and possibly chunky when frozen. This will make pouring Kahlua quite difficult, and give your mixed drinks an unpleasant texture. You can, of course, chill a bottle of Kahlua in the freezer for a half hour or so to get the liqueur to a better temperature for drinking, so as to avoid using too much ice. Can Irish Cream Go Bad? Irish cream is as much a dessert as it is a drink. This creamy, rich liqueur elevates mixed drinks, coffee and can even make a pretty delicious chocolate sauce, but how much Irish cream can you really drink in one night? Can Irish cream go bad, and how should you store the rest of the bottle? This may surprise some people, but Irish cream can actually go bad! While many liqueurs have an indefinite shelf life, Irish cream actually contains a good deal of dairy in the form of heavy cream, and will spoil accordingly. Don’t go throwing away that bottle just yet, though! The shelf life of Irish Cream is about two years after bottling, when properly stored. The freshness of Irish cream doesn’t depend on whether or not the bottle has been opened, but the bottle should remain tightly sealed when stored. While Irish cream may not exactly spoil after the two year point, the quality will likely have declined pretty significantly. Because of this, you should always check for signs of spoilage before consuming cream liqueurs. The two year shelf life is the recommendation of most manufacturers to ensure that the Irish cream retains its quality, though the general recommendation is to consume Irish cream within six months of purchase. Cream liqueurs are considered “young,” when they are under six months old, and this is generally when they taste the best. Irish cream should be stored in a tightly sealed bottle, in a cool, dark place. While Irish cream can be stored at room temperature, so long as the bottle remains tightly sealed, refrigeration will certainly help to retain the quality for as long as possible. Whether or not you choose to store Irish cream in the refrigerator, the bottle should be kept out of warm areas, or direct light exposure. If the temperature of your home is frequently above 70 degrees, you should consider storing the Irish cream in the refrigerator to prevent spoilage. Can You Freeze Irish Cream? Contrary to popular belief, you really shouldn’t freeze Irish cream. 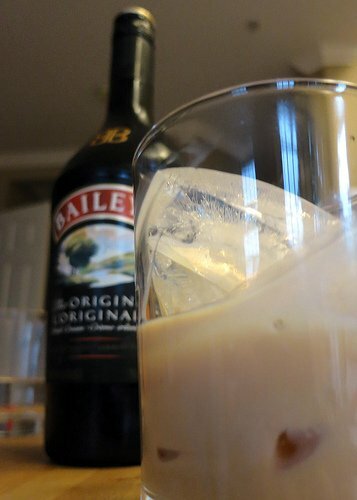 While the alcohol will not freeze, the cream can freeze, which will make pouring the Irish cream impossible. Additionally, the freezing process will form small ice crystals, and the texture will in the cream change completely after thawing. This doesn’t mean that Irish cream can’t be used to make ice cream! Because the churning will prevent the formation of large ice crystals, as well as keep the ice cream from separating, Irish cream can certainly be used to make a delicious, creamy dessert. Ice creams made with alcohol will melt more quickly than other ice creams, but the taste is worth it! The first thing you should check for, in terms of spoilage, is the smell. When you open the bottle, if the Irish cream smells at all sour or unpleasant, it has likely gone bad. Appearance will be the next indicator – any sort of separation or coagulation indicates that Irish cream has spoiled, and should not be consumed. As Irish cream starts to spoil, it may become darker and much thicker. If you notice that the Irish cream doesn’t pour well, it may not be good anymore. Of course, if Irish cream smells and looks okay, then it’s likely still good to drink. If you’re unsure of whether or not the Irish cream has spoiled, and it has been in your cupboard for a while, you may want to err on the side of caution and discard the liqueur. Even though gin is one of the spirits, it often doesn’t feel like one. Fruity flavor and floral infusions aren’t things most people associate with spirits. And that’s why there are so many questions about this alcoholic drink. Obviously, the most often asked questions revolve around shelf life and going bad. Many people aren’t quite sure how long can gin sit in storage, or if an open bottle can go off. Of if the juniper-flavored drink requires refrigeration upon opening. And those are perfectly valid questions. I mean with all the fruits and sometimes flower petals involved, it’s easy to forget that it’s still a distilled drink with a minimum of 37.5% ABV (75 proof) ([WIKI]). And that it’s not that much different from other spirits. If you have any questions related to spoilage, shelf life, or storage of this popular cocktail ingredient, this article is for you. And the best way to start is to talk about spoilage. So before you mix your gin and tonic or make your own Sloe gin, you want to make sure that your old gin is still okay to use. And asking if it’s even possible that gin goes off is a logical first step. Well, unless you go above and beyond to make it go bad, it won’t ([MCG]). The high alcohol content is an excellent preservative, so gin, like its cousins such as rum or tequila, stays safe to drink pretty much forever. But that doesn’t mean that it will remain the same in terms of flavor or appearance. Gin is often infused with fruits and flowers, and the resulting alcohol can be of various colors. However, those colors are organic, and they tend to fade over time ([IG]). So if your beautiful flower-petal-infused gin has turned pale, it doesn’t mean it’s off. It’s most likely because the color naturally faded. 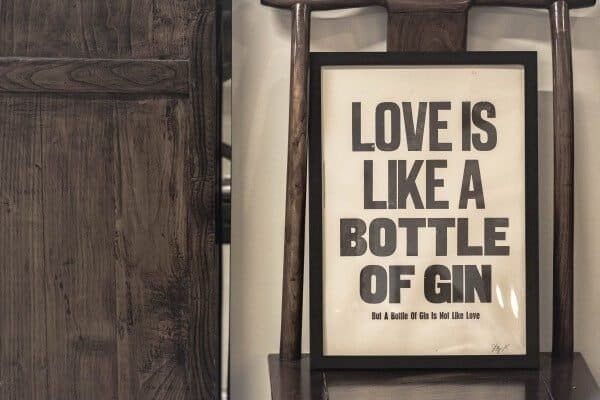 That’s why some gin producers recommend enjoying their product within a year or two. 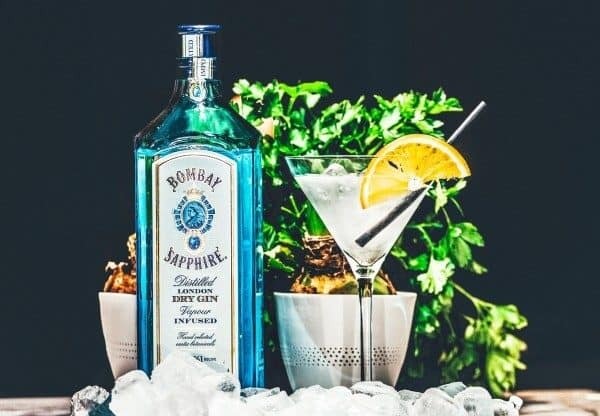 They know that the colors keep well for that period, and gin buyers usually prefer colorful drinks instead of pale ones. Another thing, especially common for flower-infused gins, is that after some time there might be sediment at the bottom of the bottle. This sediment consists of botanical particles that weren’t filtered out. They’re perfectly harmless ([MCG]), and you can drink up the last few drops. Of course, as I already hinted, gin won’t keep its quality forever, so I guess it’s time to talk about the shelf of this alcoholic drink. How Long Does Gin Last? Like, vodka, whiskey, and other spirits, gin doesn’t benefit from prolonged storage. In other words, it doesn’t get better with age. And I’m pretty sure you already knew that, or at least expected, after reading the section about gradual color fading. So, how long does gin last? Unfortunately, it’s impossible to tell. If it’s a floral infusion, the color will probably start to fade within a year or two, even if the bottle remains unopened. And while the taste after opening will be perfectly fine, you will be missing out on a part of the experience. In short, if you care about aesthetics, try to start the bottle within a year of buying and finish within a few months. If what you value most is the taste, you can keep an unopened bottle for years. The gin’s flavor doesn’t change much over time, as long as it’s unopened. Once you unseal the bottle, things change slightly. Evaporation and oxidation come into play. While the evaporation process goes at a snail’s pace (unless you keep it in a hot place), oxidation slowly alters the taste of the alcohol. If you want to see oxidation in action, pour some gin in a glass, leave it out overnight, and taste the next day. What does that mean for an opened bottle? That the better access to air the alcohol has, the quicker its taste will change. And the more oxygen in the bottle, the faster that process goes. So if you have an almost full bottle of gin, it will easily last years in good quality if stored properly. But if it’s only a few sips left in it, its flavor might degrade within a few months. In short, the shelf life of opened gin depends on how much alcohol is in the bottle, and it ranges from only months to decades. Knowing all of that, let’s talk about the last part of the puzzle: storage. Storage of gin is no different than the storage of other spirits. A cool and a dark place is what you need ([MCG]), so a dark cupboard in the pantry or kitchen is probably the best option. Of course, you can keep it in the fridge, but there’s little to no benefit to that. Unless, of course, you’re chilling it for the evening, so the ice cubes won’t melt that fast if you serve it on the rocks. When it comes to temperature, make sure the bottle sits in a place where the temp stays pretty even. Temperature fluctuation and direct sunlight negatively affect the quality of alcohol, both unopened and opened. When it comes to storing gin after opening, not much really changes. Just remember always to keep the bottle sealed and follow the recommendations for unopened gin. One trick you might find useful if it takes you ages to finish a bottle is to transfer the gin to a smaller one once the current one is less than half full. This way you slow down the oxidation process because there will be less oxygen in the small bottle than in the big one. Of course, it only makes sense to do that if you know that you will store that half-full gin for months on end. It won’t make much of a difference if you finish the bottle within a month or two. Because of the high alcohol content of brandy, this spirit won’t go bad in terms of food safety. In fact, unopened brandy can keep indefinitely if properly stored. Like other spirits, brandy should be kept in a tightly sealed container, away from heat, or light. Once a bottle of brandy has been opened, while it can still be stored pretty much indefinitely, there will be some changes to the taste and quality. Proper storage is very important to protect the flavor and quality for as long as possible. As brandy doesn’t really spoil as in grow mold, or go rotten, safety is of less of an issue here. The high alcohol content of brandy is protective in a lot of ways. Mold, bacteria or other pathogens will not grow in a sealed bottle of brandy, so for the most part, it is safe to consume brandy that has been opened for a very long time. However, the high alcohol content does mean that brandy is susceptible to two natural processes which will degrade its quality: oxidation and evaporation. Oxidation is a process that occurs when the compounds in brandy are exposed to oxygen, and the flavors degrade as a result. Further exposure to heat or light can speed up oxidation. 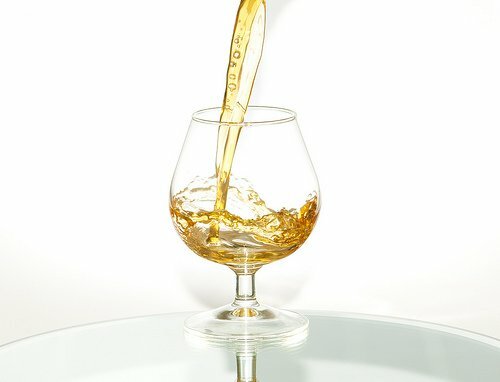 While some individuals may still enjoy a slightly less flavorful bottle of brandy, eventually the taste will become quite flat. Oxidation will eventually occur, but this process can be slowed by proper storage. As alcohol evaporates more readily than water does, brandy that is improperly stored can weaken over time as well as lose flavor. Storing brandy in a tightly sealed container, and in a cool, dark location should slow evaporation as well as oxidation, keeping your brandy in top shape as long as possible. 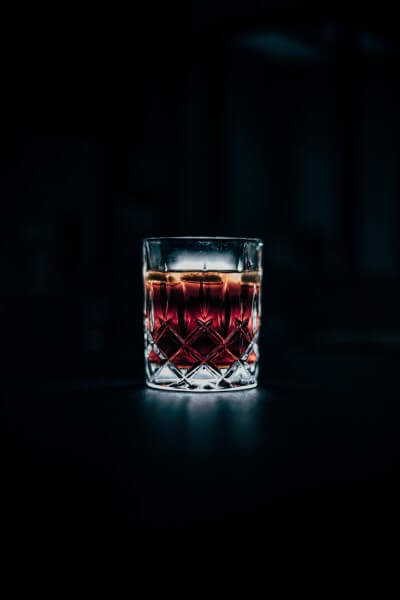 If you have an opened bottle of brandy that you aren’t going to consume for some time, the best option is likely to store the bottle in the darkest, coolest place of your basement or pantry. If you live in a particularly warm climate that experiences a lot of temperature fluctuations, you may want to store the bottle in either your freezer or refrigerator. In either case, be sure to keep the bottle far from the door (where it would be exposed to warmth and light), and keep the temperature somewhat constant. Remove the bottle to pour a drink, but replace it in the fridge or freezer quickly, so as not to allow the bottle to become warm. Temperature changes tend to oxidize spirits more rapidly. If your bottle of brandy has been in the cabinet for a while, and seems to have lost its flavor, you can still revive this spirit! Brandy is excellent when infused with either dried fruit or spices. Be sure that you are infusing the brandy with something low in moisture – vanilla beans, cinnamon, cloves and dried fruit all work wonderfully. Simply add the spices or dried fruit to a sealable jar, and fill most of the way with brandy (don’t leave too much air space). Seal the jar tightly, shake a few times and then leave in a cool, dark place for a few weeks to six months, and you will have a delicious infused brandy that can even be used as an extract in baking. Bourbon isn’t exactly known as the kind of alcohol that you finish a bottle of in one sitting. Unless, of course, you enjoy it with a bunch of friends. And if you drink bourbon only occasionally, the half-open bottle will probably sit in storage for quite a long time. And when you stumble upon it after half a year, it’s only reasonable to start thinking whether it can go bad or not. Or perhaps you got an expensive bottle of bourbon as a gift, and you’re thinking about holding onto it for longer, so it gets even better. If that’s the case, let me tell you right now that won’t quite work, as bourbon doesn’t age in the bottle. In short, if you have any questions about spoilage, shelf life, or how to store this variety of whiskey, this article is for you. And to start things off, let’s talk about whether or not bourbon goes off. Well, it probably can, at least theoretically. If you would leave the bottle unsealed and added a bunch of contaminants inside, after a dozen of years it could go bad. But if you keep bourbon sealed in storage, it won’t. Bourbon, just like other types of whiskey, or distilled spirits as a whole, doesn’t spoil. The alcohol content makes the liquid safe from any microorganisms that could cause it to spoil. But if by any chance you noticed that your bourbon developed and off odor, or suddenly changed in taste, discard it. It’s highly unlikely to happen, but if it did, proceed like you would with any other type of food. Knowing that it doesn’t spoil, does it mean that it lasts forever in good quality? Not necessarily. Let me explain. How Long Does Bourbon Last? Before we talk about shelf life, let’s briefly talk about the aging process and how it works for bourbon. I already mentioned that bourbon doesn’t age once bottled, so allow me to expand on that. Bourbon is aged in new, charred oak barrels ([WIKI]), and the moment it’s out of the barrel, that process ends. Like vodka, rum, and other spirits, it doesn’t get better or develop taste after bottling. So saving it for years doesn’t make that much sense. Unless, of course, it’s an expensive bottle and you plan on selling it for a better price. But if you’re not well versed in bourbon, I wouldn’t try that. 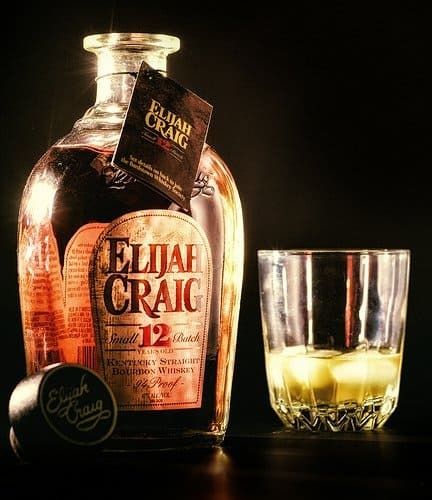 A good way of thinking about bourbon is that once it’s bottled, it freezes in time until you open it for the first time. So if you own one that was bottled 10 years ago, and you only open that bottle today, the alcohol should be pretty much as good as it was 10 years ago. And if you wouldn’t open it today and decided to keep it for another 10 years instead, nothing would change about it in the following decade. But once you open the bottle for the first time, things change a bit. The moment you unseal the bottle, the alcohol gets access to fresh air, and some of the most volatile compounds are released. Exactly the same thing happens for all whiskeys. That’s why some people find the whiskey better the next day after first opening it. When it comes to shelf life, two things change once you open the bottle. First, even a sealed bottle isn’t perfectly sealed so there will be some evaporation over time. And since alcohol evaporates more readily than water, it will super slowly start to lose its strength. Of course, if you won’t leave the bottle unsealed for a few days, you likely won’t notice any effects of evaporation for years. The second thing is the presence of oxygen. Oxygen alters the taste of spirits. 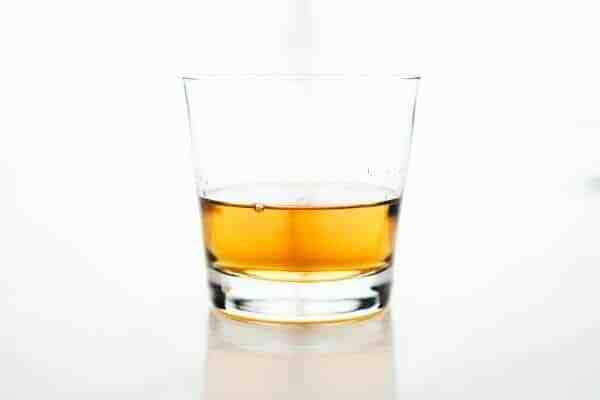 If you’ve ever left an unfinished glass of whiskey overnight, you know what I’m talking about. It doesn’t taste quite the same, and that’s the result of both evaporation and oxidation on steroids. So you know what might happen if you don’t take good care of your opened bottle of bourbon. In short, the more oxygen in the bottle, the quicker it alters the alcohol’s taste. So if you unseal the bourbon, pour yourself a drink, and put that bottle back in storage, it should retain its flavor for years. But if there’s only a drink or two worth of whiskey in the bottle, its taste will degrade much faster. Such a bourbon in a year from now you might not taste that well as it does now. Fortunately, there are some storage tricks to keep the quality of this alcoholic drink for longer. Let’s recap what we covered in terms of shelf life. Unopened bourbon has pretty much indefinite shelf life. As long as the seal is intact, the alcohol should be as good as new. Once you open the bottle, the liquid starts to slowly degrade in quality. The speed of the degradation process depends on how you store the alcohol and how much is left in the bottle. The closer the bottle to full, the longer the bourbon lasts. Unfortunately, there’s no way to calculate for how long will your opened bottle taste well. It depends on too many things, plus it’s also a matter of personal preference. Some of you might be quite sensitive to the flavor, notice even a minor change, and decide to get rid of it. Others won’t be as sensitive and will find even somewhat “stale” bourbon okay to drink. Knowing that, let’s talk about how to take care of the bourbon so it keeps quality for as long as it can, even if you opened it a long time ago. Storing unopened bourbon isn’t rocket science. Put the bottle in a dark and cool place, and you’re done. It can sit years in a pantry or a kitchen cupboard and will be just fine in there. Once you open the bottle, there are a few things worth knowing. First, keep the bottle sealed tightly when not in use. I know those crystal whiskey decanters look really good in a liquor cabinet, but they usually don’t provide a good seal. If you expect to finish the bottle within a few months, it’s probably okay to use one of these. But if you want it to last years, keep it bottled. Next thing is that the bottle shouldn’t sit in the sunlight. So even if you choose a liquor cabinet, make sure the liquor isn’t exposed to direct light the whole day. As mentioned earlier, a dark cabinet is optimal. Once the bottle is less than half-full, consider transferring the alcohol to a smaller one. Remember how I talked about oxygen affecting the taste? This strategy is to reduce that effect. Of course, it only makes sense to do that if you expect to keep the bourbon around for a long time. If you will finish it within a few months, it’s not worth bothering with that. Last but not last, temperature. Pretty much all alcohols like being stored in a cool place and don’t like temperature fluctuations. Same thing with bourbon. If you prefer to serve it cold, feel free to refrigerate it. Or instead of chilling it in the fridge, just serve it on the rocks. But remember it doesn’t require refrigeration upon opening.